Use the links below to download our latest trail brochure. The PDF has two pages – the outside and the inside of the brochure. If you can do two-sided printing, you can get a nice brochure on one sheet of paper! 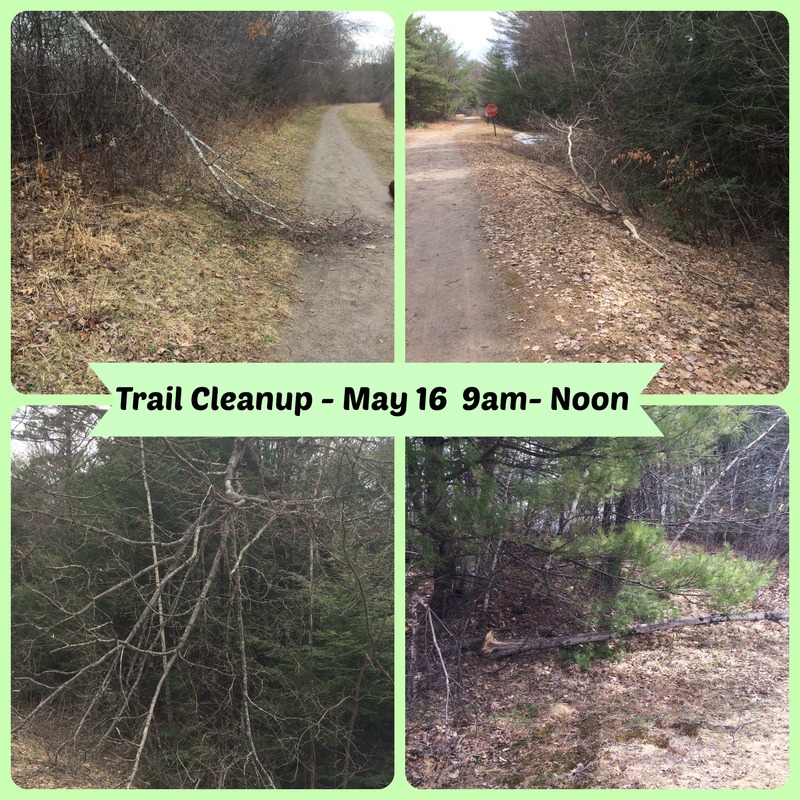 This entry was posted in The Trail on March 21, 2013 by jimzim. This five-mile pedestrian / biking trail links Tilton, Northfield and Franklin along the Winnipesaukee River.The trail affords views of the Winnepesaukee River including a spectacular view of a gorge frequently used for whitewater kayaking.The area contains many historic and cultural sites including an old railroad trestle, the Sulphite Bridge ( an upside down railroad bridge on the National Register of Historic Sites), remains of old paper mills. 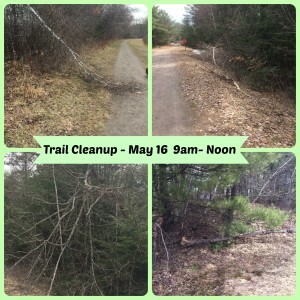 This entry was posted in The Trail on March 14, 2013 by jimzim. This entry was posted in The Trail on March 9, 2013 by jimzim. This entry was posted in The Trail on March 8, 2013 by jimzim. 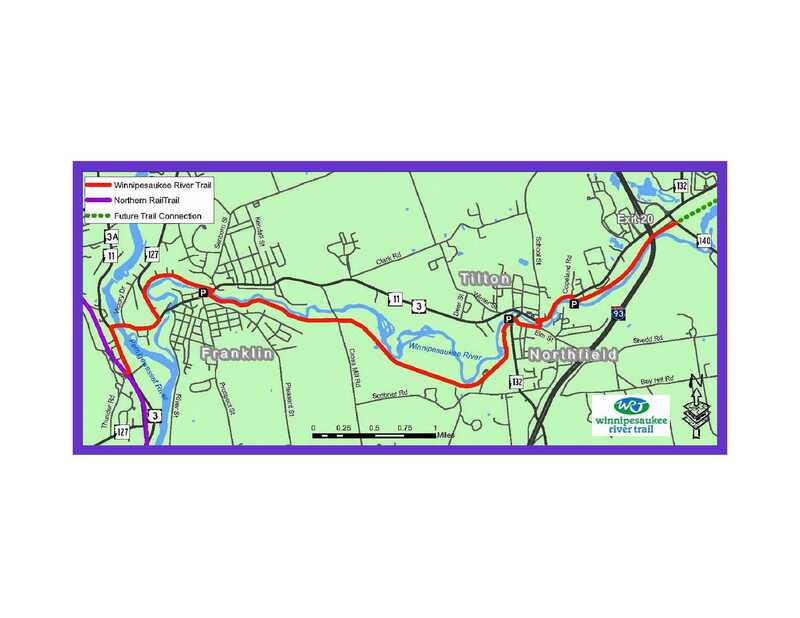 Description: This five-mile pedestrian / biking trail links Tilton, Northfield and Franklin along the Winnipesaukee River. The trail affords views of the Winnepesaukee River including a spectacular view of a gorge frequently used for whitewater kayaking. The area contains many historic and cultural sites including an old railroad trestle, the Sulphite Bridge ( an upside down railroad bridge on the National Register of Historic Sites, remains of old paper mills). 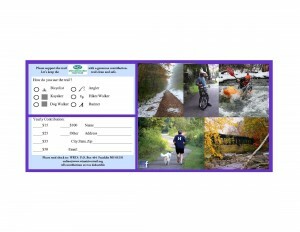 Viewing Information: Bike or walk this trail to explore a variety of rich riparian habitat including cattail wetlands, a beaver pond and tumbling water. Look for evidence of beaver activity as well as raccoon, mink and otter. The river provides a variety of summer homes for belted kingfishers, tree swallows, bank swallows, song sparrows, gray catbirds, common yellowthroats, red-eyed vireos and many more. A variety of waterfowl including mergansers, wood ducks and mallards may also be seen. Keep your eyes out for the occasional bald eagle or osprey. 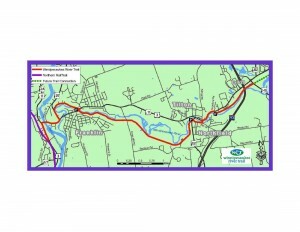 Click Here to view the Winnipesaukee River Trail listing on the TrailLink.com site – sponsored by the Rails to Trails Conservancy. The park is designed to serve as a gateway to the city’s downtown and a trail head for the Winnipesaukee River Trail The park provides parking, a kayak take out for the many kayakers that utilize this white water section of the Winnipesaukee River and features a memorial plaza that allows for a historical prospective on the City of Franklin. The City of Franklin and the Winnipesaukee River Trail Association working cooperatively with funding provided by a NH Land and Water Conservation Grant constructed the park. The required 50% match was made possible by the donation of land for the park by the Grevior Family and donations of labor and equipment from others. Beck & Bellucci, Inc. contributed a large amount of the construction and other services to complete the park. The National Park Service provided design work. The Franklin Saving Bank provided needed funds to have land appraised for the grant and engineering costs to subdivide the property. George F. Sargent, Inc. donated design services and labor to install the irrigation. Shrubs and Flowers in the park have been provided, planted and maintained by the Burn’s family in memory of Ian Burns. Other funds were provided for trees and shrubs by a NH moose plate grant. Funding was also obtained from a Nestle D.I.R.T. Grant. The park features a 15’ diameter mill wheel weighing in excess of eleven tons. This flywheel served as part of steam engine that powered a textile mill in Franklin’s historic mill district. The mill wheel prior to installation was determined by testing to have lead paint. Modern Protective Coatings of Hudson, NH donated their services to remove lead paint and repaint the wheel. The mill wheel is dedicated to the memory of Fuss Feener. Russ was a founding member of the Winnipesaukee River Trail Association and his enthusiasm for the wheel led him to make extensive efforts to have the millwheel included in the park design. A plaque is installed at the base of the wheel outlining the history of the wheel and it’s dedication to Russ. Dedication of the park was held on Tuesday Sept 27, 2005. This entry was posted in The Trail on March 7, 2013 by jimzim.